A Great Update to Skitch! For those of you that don’t know, Skitch is a free app that is owned by Evernote that will let you annotate over the top of images. You can draw boxes, write, type, etc from the app and then save to your camera roll or straight into Evernote. Learn more about Skitch HERE. Skitch just took another big step forward. With its latest update you are now also able to annotate over PDFs as well! 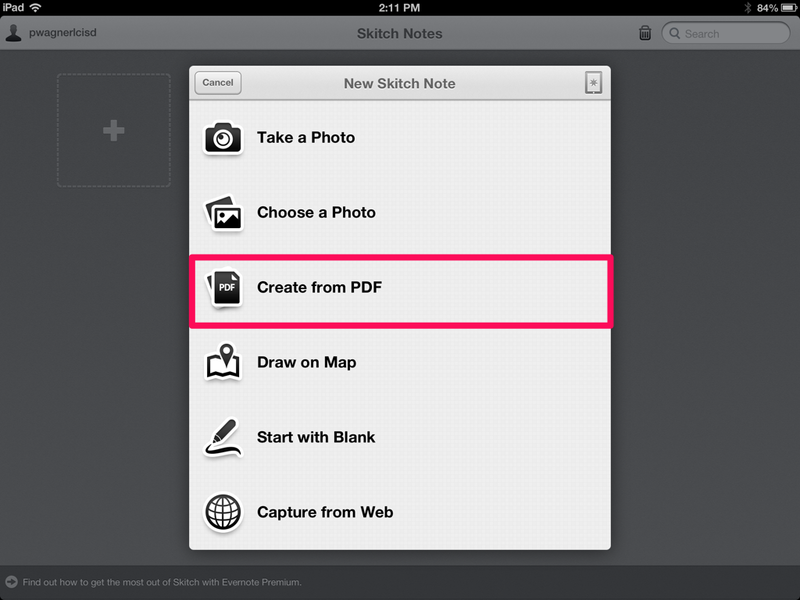 If you have Evernote loaded on the iPad and you are logged into Skitch with your Evernote credentials, choose to “Create from PDF“. 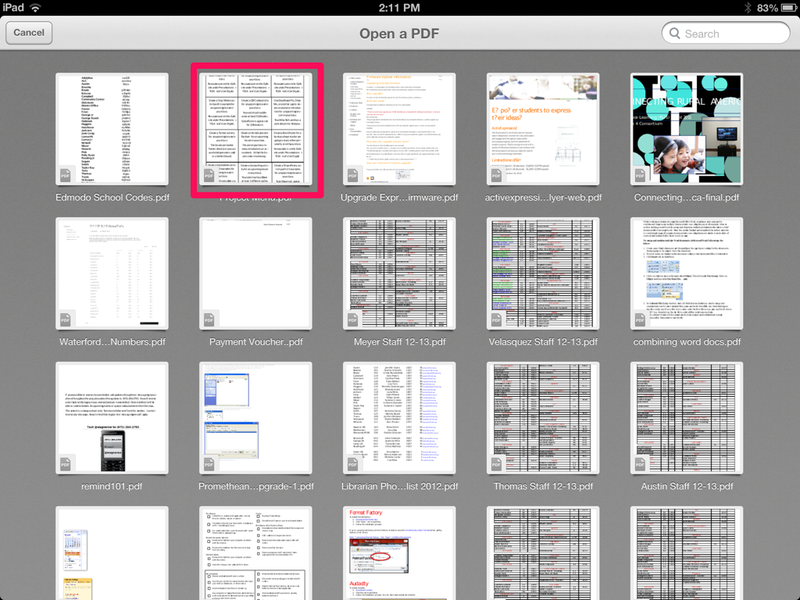 A list of PDFs that are already in Evernote will display. Choose the file you wish to work with and open it. When the file opens, use the toolbar on the right hand side of the screen to make your annotations. You can then email it or save it back to Evernote for use later. Very easy to use and a great addition for your annotation needs! 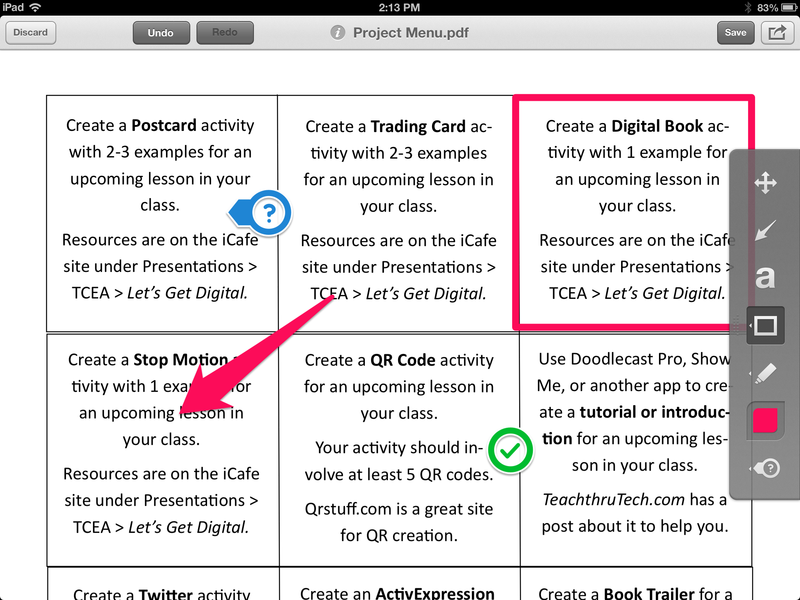 ← Showbie: Create and Collect Assignments on the iPad!